Eruptions beneath the sea surface are the most common type on Earth, but are significantly underrepresented in the historical record. 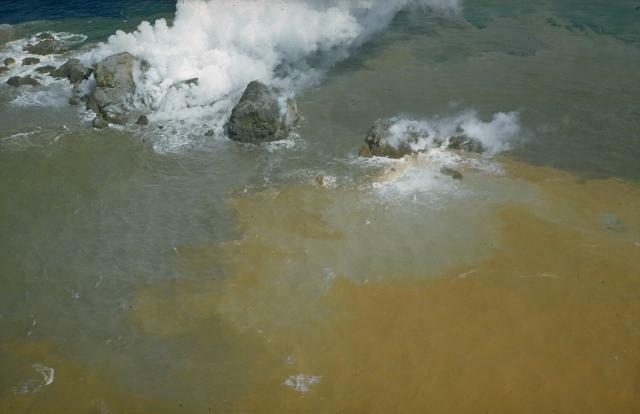 Submarine eruptions display characteristics that differ from their on-land equivalents. Submarine lava flows are emplaced by incremental extrusion of lobes that are rapidly chilled in contact with the water, forming structures known as pillow lavas. Explosive fragmentation of lavas forms thick fragmental deposits known as hyaloclastites. Deep-sea submarine eruptions are common along mid-ocean ridges, where an estimated 75% of Earth's magmas erupt. Shallow submarine eruptions can produce explosive columns of steam and ash, known as Surtseyan eruptions from the new island Surtsey formed off the coast of Iceland in 1967. 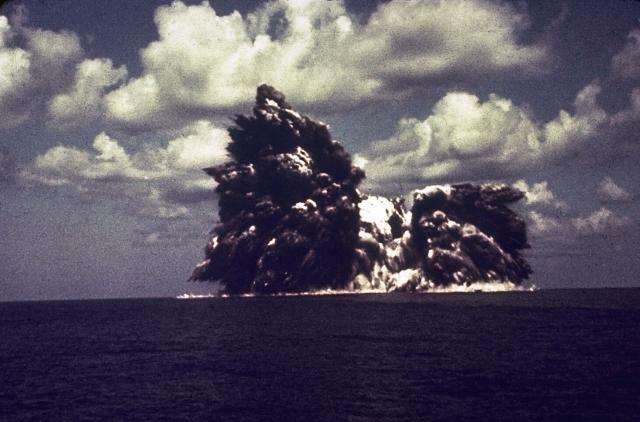 Explosive submarine eruptions often produce large amounts of pumice, which can form long-lived rafts of floating pumice carried long distances from the volcano by ocean currents. Lava flows entering the sea can cause explosions that create cones of ash and debris that resemble cinder cones, although they were formed from rootless vents not connected to a volcanic conduit. 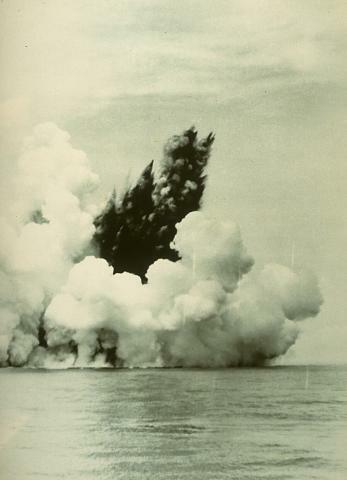 A dark, ash-laden cloud is ejected from a submarine vent at Anak Krakatau (Child of Krakatau) on June 12, 1930. A white steam column rises above a pyroclastic-surge that travels horizontally along the sea surface in a radial direction from the vent. 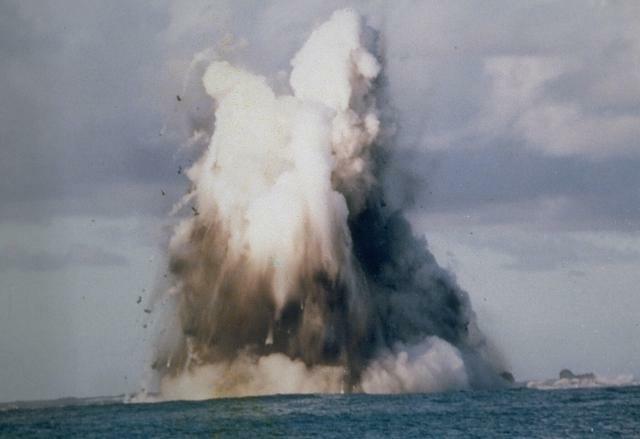 "Base surges" such as these are a common phenomenon of submarine eruptions. The first eruptions of Anak Krakatau to breach the surface were seen in December 1927. Photo by C.E. Stehn, 1930 (courtesy Volcanological Survey of Indonesia).